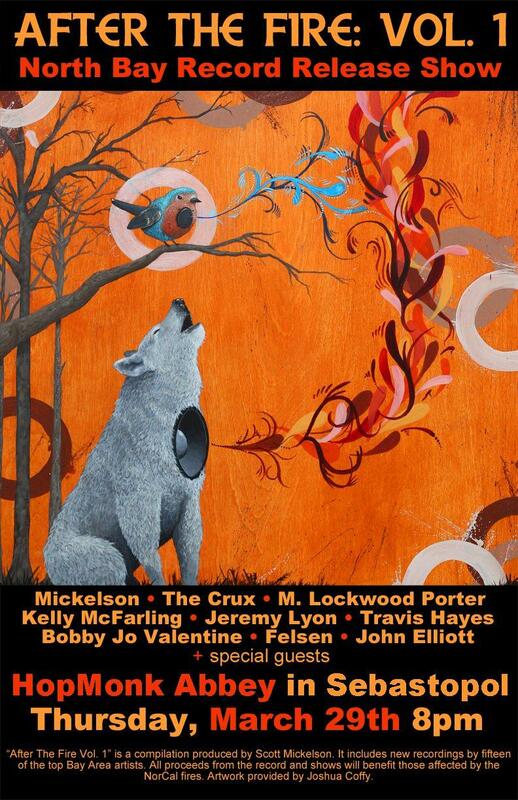 "After the Fire Vol.1" is a new CD put together by North Bay producer and artist Scott Mickelson. The proceeds from sales of the release and two CD release shows will benefit fire victims. The shows are at Hopmonk Sebastopol on Thursday 3/29 and Cafe du Nord in San Francisco the following evening. KRCB will host several of the musicians who donated their art to this project throughout the week of 3/26.